A legal aid strike is causing ‘chaos’ for police and courts in South Yorkshire - with fears that major criminal trials could have to be postponed. The ongoing dispute between solicitors and the Ministry of Justice has resulted in defendants facing serious criminal allegations having to represent themselves and cells being left ‘chock-a-block’ as cases back up. Criminal suspects have been released by police on bail without being interviewed about alleged crimes as a result of the strike. And problems are now expected to worsen in the justice system after members of the Criminal Bar Association, which represents barristers in the Crown Court, voted to take part in action to support the strike. Members of the Criminal Law Solicitors Association in the county have been involved in the national dispute since for almost a fortnight, with the protest set to last for the ‘foreseeable future’. Skeleton services of duty solicitors have been working in police custody and at magistrates’ courts as part of the protest. Hester Russell, a South Yorkshire representative of the CLSA, said the strike has been called after fees were cut by 8.75 per cent at the start of July, following a previous 8.75 per cent cut in March 2014. “Solicitors are quite simply no longer able to provide the services they need to provide,” she said. “If you get stuck waiting in the Magistrates Court, you are paid £24 per hour. That has to pay towards heating and lighting offices, professional indemnity insurances and staff. There is very little left over. “Normally, you will often have four to five solicitors in Rotherham police station. Instead there has only been one ploughing through everything. There are problems in police stations with people being bailed rather than interviewed because of this. She added: “There is nobody more painfully aware of cuts than criminal defence lawyers, we are with the most impoverished people in the country day-in day-out. “But the long and short of it is we haven’t had a pay increase for the last 20 years. Numerous solicitors are at breaking point and lots of firms are shutting. 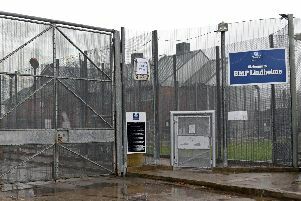 Neil Bowles, chairman of the South Yorkshire Police Federation, confirmed people are having to be kept in custody for longer because of the strike. “We have had to release a couple of people in bail without an interview which is not very good,” he said. “We have also had an occasion where an individual has lost patience and volunteered to be interviewed without a solicitor. The comments come as members of the Criminal Bar Association voted in favour of refusing to cover the work of colleagues who have diary clashes between different criminal cases. In normal circumstances barristers travel to courts all over the country at short notice to cover hearings in colleagues’ cases where diary clashes arise. The CBA said that many of these hearings are not remunerated but they are ‘fundamental to the efficient running of Crown Courts’. As a result, the CBA has warned some cases may now have to be ‘rescheduled to avert clashes that can be identified in advance’. Justice Secretary Michael Gove said today: “I’m disappointed with the CBA vote though it was interesting the vote was lower than expected. A spokesperson for South Yorkshire Police said: “We continuously endeavour to reduce the time individuals spend in custody in order to provide a more efficient service. This includes giving particular consideration to the welfare of individuals being brought into custody.